Helping to ensure that no child is denied the opportunity to attend a Catholic School in the Diocese due to financial hardship. 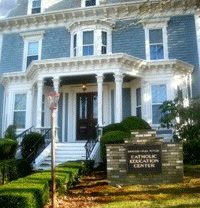 The Catholic Schools of the Diocese of Fall River serve over 6,700 students in 21 schools. Our schools are committed to a philosophy of educating the “whole” student – in body, mind and spirit. Students are challenged to achieve their highest potential as they are called each day to grow in faith and values, to pursue academic excellence, and to become leaders who are committed to serving God and others as Jesus taught us. 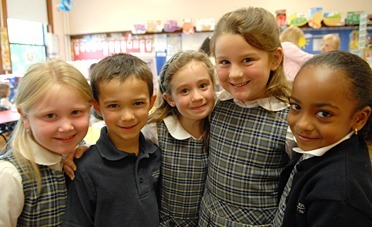 In our Catholic schools, teachers pursue the highest academic standards, while also taking the time to know and care about every student as an individual. SAT scores in our Diocese consistently exceed national and state averages, while Iowa Assessments in the younger grades score among the top third in the nation. Most importantly, young people are guided to follow in the footsteps of Jesus, pursuing excellence in the safe environment of a Catholic school community that supports, each day, the values parents are teaching at home. Financial aid may also be available. Please contact a Catholic school of your choice to learn more about the opportunity of a Catholic education for your child.